Different, unique , guarantee... Chapinorte in zona rosa north bogota!! now, you decide how much you want to pay for your stay in Chapinorte, may pay at the end of your stay or at the beginning, its up to you. A different concept of accommodation in style and services. we are located in the safe, residential and entertaining northern Bogota. A mixture of boutique style, guesthouse and hostel. I offer privates in apartments so you can feel at home. we have all ingredients for your best, safest and most economical choice for staying in the Zona Rosa and Parque de la 93 areas. We are surrounded by the most various entertainment ffun and leisure options,parks, cinemas, restaurants, shopping centers, universities and so. With a touch air not reflected in other areas of the city and invites you enjoying the local environment at any time of the day or night. The best is Chapinorte itself . The house is a mixture of environments and feelings. I have private rooms with shared bath or ensuite. 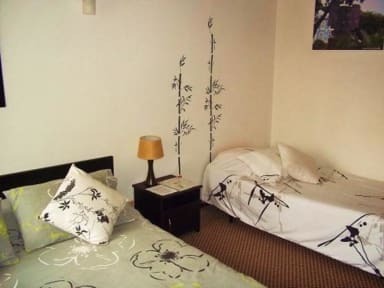 Rooms with double bed or twin, thinking of your confort. It gives a touch of home and tranquility for your rest and safety,But also with its own characteristics of a International hostel, with tourist information, common areas, kitchen, affordable prices, bilingual staff and Antonio, the owner!. Free Wlan for all time and space, parking 24 hours *, payment in cash, dollars or credit cards (via paypal), late check out if necessary*. 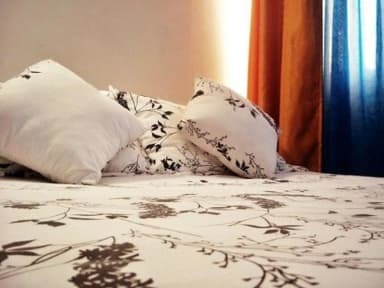 Amenities if need it, dryer, cable tv, airport or bus station pick up or wherever you need as optional*.These are some of the adventages that will have for your stay in Chapinorte. But there are still more that you will discover from the moment you enter the apartment door . You can check by yourself. Gute Lage, super freundlicher und hilfsbereiter Vermieter. Würde nochmals dort buchen.